The Islandbridge gate at the Phoenix Park. GARDAÍ IN DUBLIN are investigating an incident in which a couple’s car was hijacked with their baby still inside. 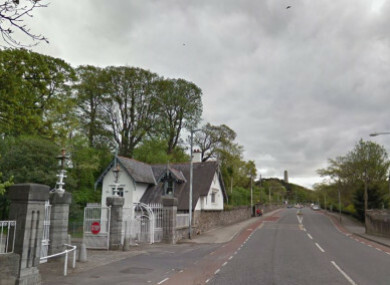 It is understood the couple was leaving the Phoenix Park at around 11.15pm last night when they were approached by a man wielding a knife. Both man and woman were forcibly removed from the car and the man drove off. However, the carjacker did not know there was a child in the back. He stopped the vehicle and ordered the parents to remove the child and then drove off. A garda spokeswoman said: “Gardaí at Kevin St, Dublin 8, are investigating an incident which occurred at Conyngham Road, Islandbridge at approximately 11.15pm last night. “An SUV vehicle was exiting the Phoenix Park when a male approached the vehicle and threatened the driver and passenger. The suspect was armed with a knife. Both male and female were pulled from the vehicle. They sustained no injuries. The suspect then drove SUV from scene with a 1 year old child in the back seat. The vehicle was stopped and the suspect ordered injured parties to take child from vehicle. Email “Knife-wielding man carjacks SUV with baby inside”. Feedback on “Knife-wielding man carjacks SUV with baby inside”.